In a special report written by Mark Lazell, Majaal features prominently in the December 2014 issue of The Gulf Magazine. First Uniform today conducted a grand opening ceremony for their new manufacturing facility at Majaal. Majaal Warehouse Company, Bahrain’s small and medium enterprises (SME)-focused developer and operator of industrial facilities, has renewed a key sponsorship agreement with Hilal Conferences and Exhibitions (HCE) to participate in the Gulf Industry Fair 2015. Challenge Bahrain, the organizers of the triathlon event to be held in Bahrain on 6 December 2014, today announced Majaal Warehouse Co. as their official logistics partner for their international Triathlon event to be held in Bahrain 6 December 2014. In support of the race, Majaal has agreed to provide storage space for all the event equipment throughout the year in its state of the art, 400,000 square foot industrial facility located within the Salman Industrial City. 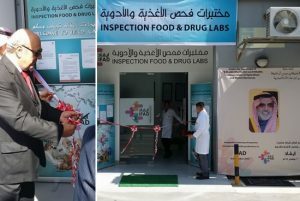 IFAD (Inspection of Food & Drugs Lab today conducted a grand opening ceremony for their facility at Majaal. First Bahrain’s General Manager and Majaal Managing Director, Amin Al Arrayed, welcomed H.E. 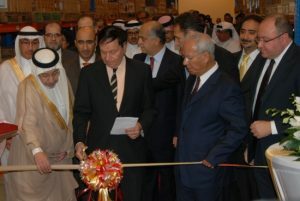 Dr. Hassan Fakhro to Majaal where he cut the ribbon to officially open the new logistics and distribution center for the Abudawood Alsaffar Co. (ASC), the Bahraini distributor for global and regional producers of fast moving consumer good (FMCG) companies such as Procter and Gamble, Clorox International, Campbell’s Soup Company, Agthia, Ulker, C-Food, Walkers International and Falconpack. First Bahrain’s General Manager and Majaal Managing Director, Amin Al Arrayed, welcomed H.E. Dr. Hassan Fakhro to Majaal where he introduced him to several of the leading entrepreneurs of our community. 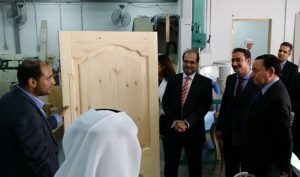 The Minister was very impressed to learn about the wide range of products and services being produced in Bahrain by members of the Majaal community. 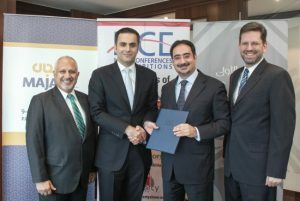 In a move affirming its strong commitment to the local market, Kuwaiti real estate developer First Bahrain Real Estate Development Company K.S.C. today announced the appointment of distinguished Bahraini businessman Mr. Waleed Ahmed Alkhaja as its new Chairman for a term of three years. 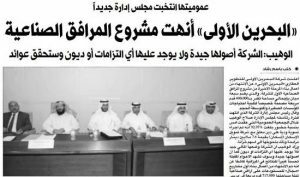 The appointment demonstrates the shareholders focus on Bahrain and their clear optimism with regards to the local property market. 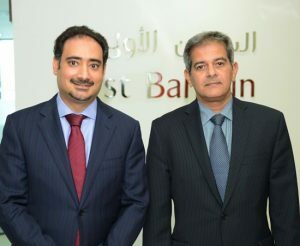 First Bahrain Real Estate Development Company (“First Bahrain”) yesterday held its Annual General Meeting (AGM) for the year ended 31 December 2013. In the meeting, the Company announced several milestones, which included the successful completion of its first industrial facilities development, a 400,000 square foot facility consisting of seven buildings, specially designed to support the needs of small to medium sized enterprises, and the amicable resolution of an outstanding debt with former shareholder, Housing Finance Co. (ISKAN). We are pleased to announce that the Annual General Meeting of the shareholders for the year ended 31 December 2013 has been scheduled to take place on Tuesday, 6 May 2014.